There almost always comes a time when you need or want to part ways with a prized project car or customized vehicle. That doesn't mean you need to give it away!Thanks to throtl you can rest easily knowing we are providing you a place sell to like minded buyers. 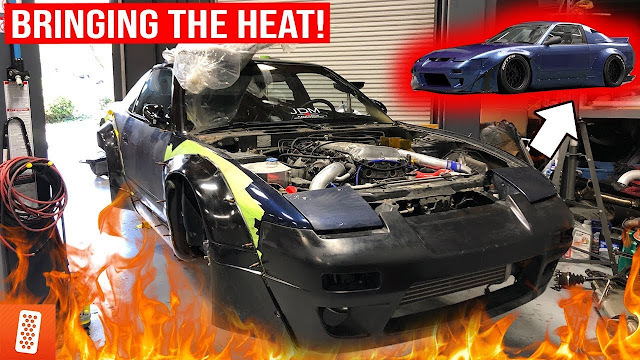 Beyond that we are here to give you a few quick tips on some things to do to make sure you extract every last dollar out of your "build" without having to part it out or put it back to stock and sell off the parts. Invest in quality parts - You will almost never receive all the money you've spent in modifications back. But, if you choose quality bits and kit you can drastically increase your chances of getting top dollar back. People are more likely to give you what you're asking if they can justify the quality parts that hold value. Wash and Wax - Duh. If you don't care for your car why would a buyer offer you your asking price? Take a day and detail her up real nice before taking the listing photos. Now that the car is clean you can simply use "quick detailer" and shine it up before potential buyers drop by to have a look. Clean the interior and fix anything that might not work - Let's face it, we spend the majority of our time enjoying our cars from the inside - driving. Fix the bits that are broken, cracked or worn. Change out these items with second hand replacements that are in better condition. Updating the burnt out and old halogen interior bulbs with modern LED lighting is also a fairly inexpensive way to tidy up the appearance of the interior. Chances are if your potential buyer is keen on the spotless, functional, interior there's a better chance they are interested in owning your modified car. Fix those hazy headlights - For heaven's sake, a headlamp restoration kit are under $20 and takes 1 hour of your time. 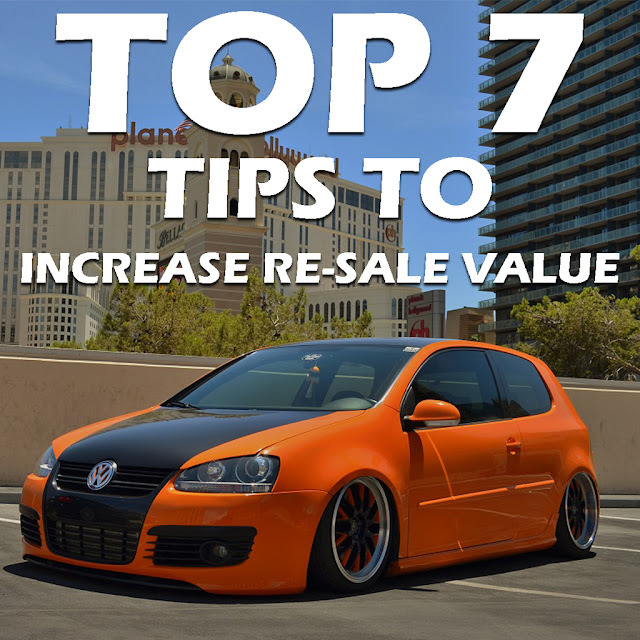 Polish up those haggard looking dull lenses and you'll be surprised how much better your car will look and how much more appealing it is to a buyer. Pull the wheels and clean them up - Seeing all the brake dust build-up and grime on the spokes and inside barrel is a tell tale sign that the car wasn't cared for. Especially if your custom car is rolling on fancy high priced custom forged wheels. Spend the time, reap the rewards! Get dings and dents fixed - See that glaring door ding on your quarter panel? Yep, everybody does and it ain't pretty. Call your local paintless dent guy and have that thing worked out. Less waves = more $. Gather all documents and receipts on the car - Being able to produce paperwork and workers shows a potential buyer you are detail oriented. The fact you are organized means you likely take the same type of care of your car. Having documentation on the work done to the car as well as the parts installed also helps you get some return on your investment because the potential buyer can see exactly what was spent. Simple!